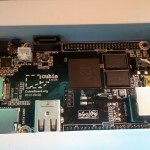 I wanted to connect my cubieboard with lubuntu to my arduino via serial communication. 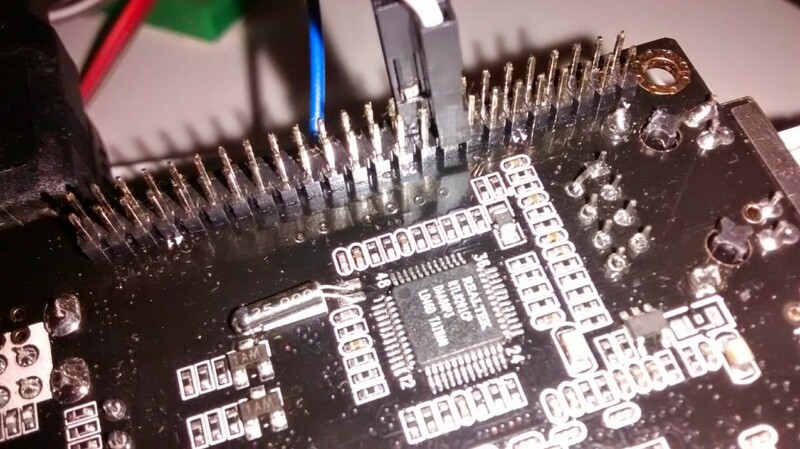 For that I had to enable a UART and connect pins to my arduino (only RX/TX is needed). I have arduino mini 3.3V on which I have attached some sensors (outside temperature). I followed the how-to by cubieboard. 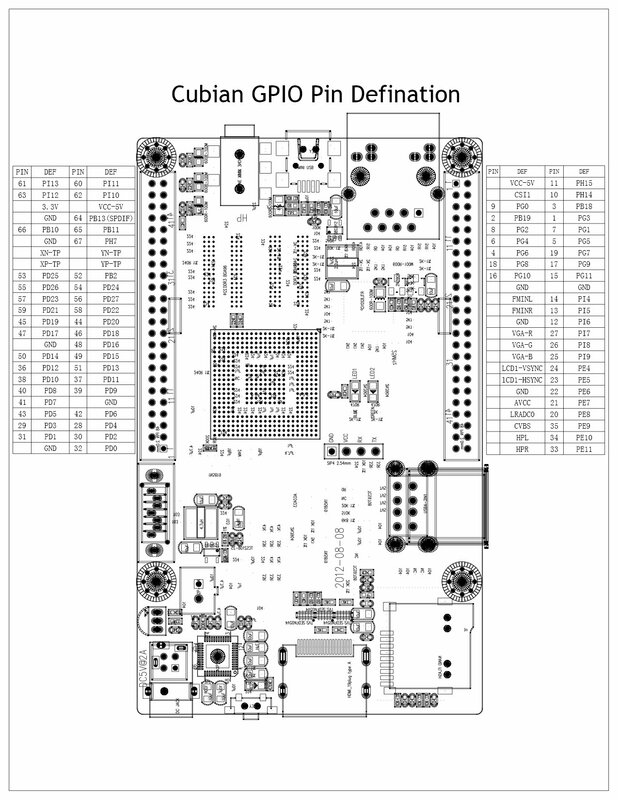 You can find the pin definition on cubie site. For my case I have configured in script.fex file port PG10 as tx and PG11 as rx which are pins 17 and 18 on the connector on USB side. I have attached cables (I have 2.54mm ones, but they somehow fit). I used 3.3V from the front side of cubieboard but I could used also PIN 44 next to SATA port. 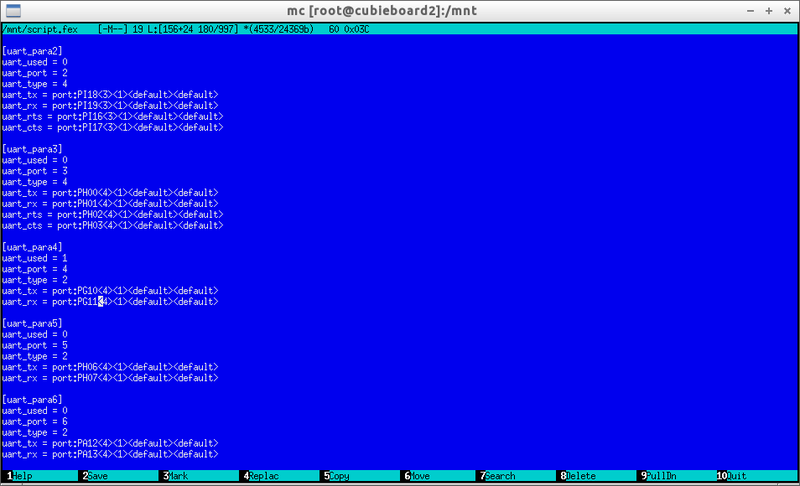 The device number of ttySx depends on how many uarts you have opened. 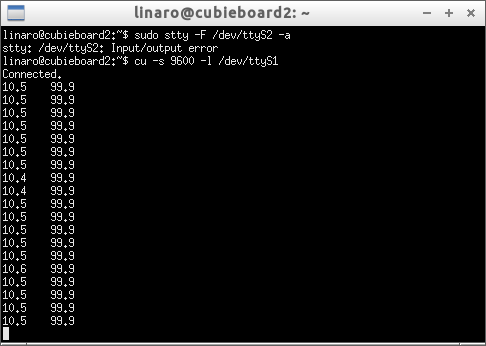 In my case I have opened uart0 and uart4, so the uart4 is mapped to the device ttyS1. To test my changes I used utility called “cu” that I have installed and started on ttyS1 with 9600 baud rate. 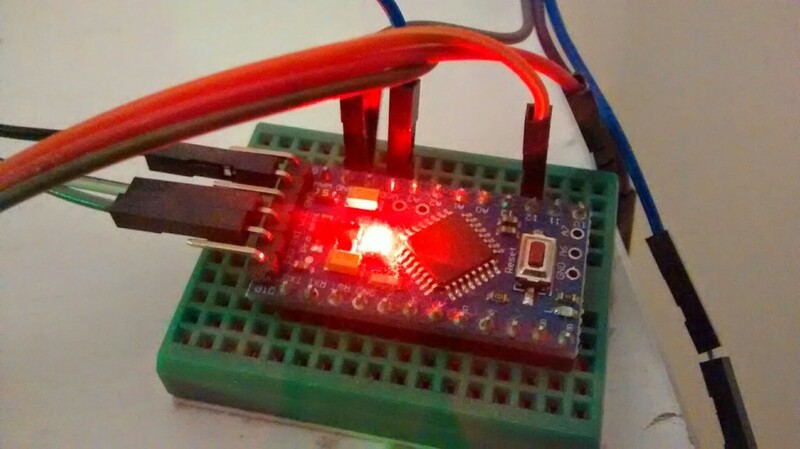 Arduino was programmed to send me outside temperature (in C) and humidity so I started to receive data. Now I will setup a crontab and a web server to have history of temperature available on the internet. I will do another post, because it took me a while to create such graph on my web page hosted on Cubieboard2 with Apache.